The Gfinity FIFA Series January kicked-off on Saturday and there were several unexpected results and eliminations in the group stage! The Group Stage consisted of 16 players from both platforms, competing in a traditional Swiss format. In the Swiss format,competitors are paired using a set of rules designed to ensure they play opponents with an identical record. The opening round provided a surprise as 2 times FUT Champions Cup winner and number one Xbox FIFA player in the world, F2Tekkz, lost his first match against Aboazza 6-3. 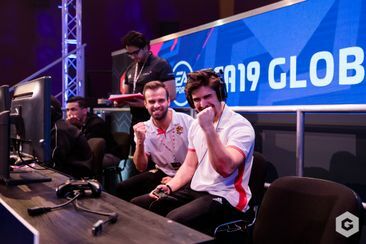 Other key Xbox matches were Rogue Goal Machine’s defeat to PSG’s Rocky on penalties, after an action-packed 3-3 draw and former FIFA eWorld Cup champion Huge Gorilla dominate Janoz 8-2. On the PS4 side of things, favourites Mo Auba, FCB Nicolas, North Agge & JRA Lion were able to impose their will and get favorable results. The key match was an epic duel between M10Ustun & Prohunter, which saw the game end 8-8 and have to be decided on penalties, where Ustun managed to close the show 3-0. On the Xbox, F2Tekkz managed to overcome his previous loss and put on a dominant performance, defeating mino7x 10-2. Another key match up in the console saw one of the youngest players in the tournament, Dullen Mike defeating Huge Gorilla 4-2 with an impressive performance. On the PS4, longtime rivals M10Ustun & Mo Auba faced each other, after having previously met in the Gfinity FUT Champions Cup last December. This time it would be Ustun who defeated his foe with a score of 9-6. North Agge fell to Spanish champion JRA Lion after a competitive match which ended 3-2, Italian player AndoniiPM defeated Brazilian player Wolves Fifilza 6-3 and FCB Nicolas continued his dominant run by defeating his oponent 2-1. Xbox king F2Tekkz defeated Janoz 7-4, while Dullen Mike managed to beat Tim Latka 7-3 and PSG Daxe also got a positive result after losing in round one, finishing Mino7x with a score of 6-1. Another player who did well was Rogue Goal Machine, who got his 3rd win of the day, which meant he had qualified for the playoffs. The main Xbox match this round was between Brazilian player M10 Resende and Huge Gorilla. Resende took the lead early, but was never able to get a commanding lead over the former world champion. Gorilla managed to get in front but it wasn’t meant to be, as Resende rallies back with some amazing goals and get the W with a score of 8-6. On the PS4, two surprises; Mo Auba lost 7-2 to NBD and North Agge lost 6-1 to Wolves Filfiza. Both players being put in bad spots, specially Agge who needed to win his next match or face elimination. FCB Nicolas won his third in a row, and like Goal Machine on Xbox, qualified for the next round and did not need to play another game. With players already being eliminated from the tournament, it was do or die for most. 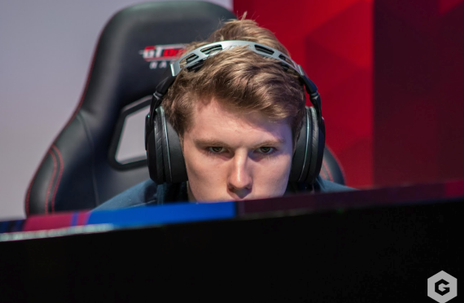 On the Xbox side of things, F2Tekkz managed to pull-out an emotional last minute win over Time Latka, finishing the game 6-5 and qualifying for the playoffs stage. Tim would still have a chance to remain in the competition in round 5. Huge Gorilla was eliminated from the competition by Marcus Gomes with a score of 5-4 and both M10 Resende and PSG Rocky managed to win their games and qualify for the playoffs the next day. On the PS4, it was the also the end of the road for North Agge as TheStrxngeR managed to beat him 6-5 with a last minute goal. Other matches saw NBD beat NYC Chris 4-3 and Mo Auba keep his hopes alive by defeating Japanese player Web Nasri 6-2. Other players whomanaged to move onto the next round of the competition were M10Ustun & Prohunter, both winning their games. With the final remaining Xbox spots for day 2 waiting to be filled, Tim Latka showed he meant business and eliminated Marcus Gomes 5-3, securing his spot. Janoz was dominated by Aboazza, who defeated him 8-4 and the final spot in the playoffs went to PSG Daxe, who defeated CodyDerFinisher in a back and forth game, and joined his teammate PSG Rocky on day 2. On PS4, number 4 ranked player in the world Mo Auba crashes out of the competition after a 6-5 defeat at the hands of Brazilian ace WolvesFifilza. The other two spots in the PS4 playoffs were filled by xLevVinken, who defeated TheStrxngeR 7-6 and JRA Lion who eliminated NYC Chris 6-2. The FIFA 19 action resumes today, as the TOP 16 will battle it out until only one PS4 and one Xbox champion are left. The champs will then face each other in a cross-console Gran Final to determined who the winner of the Gfinity FIFA Series January will be.